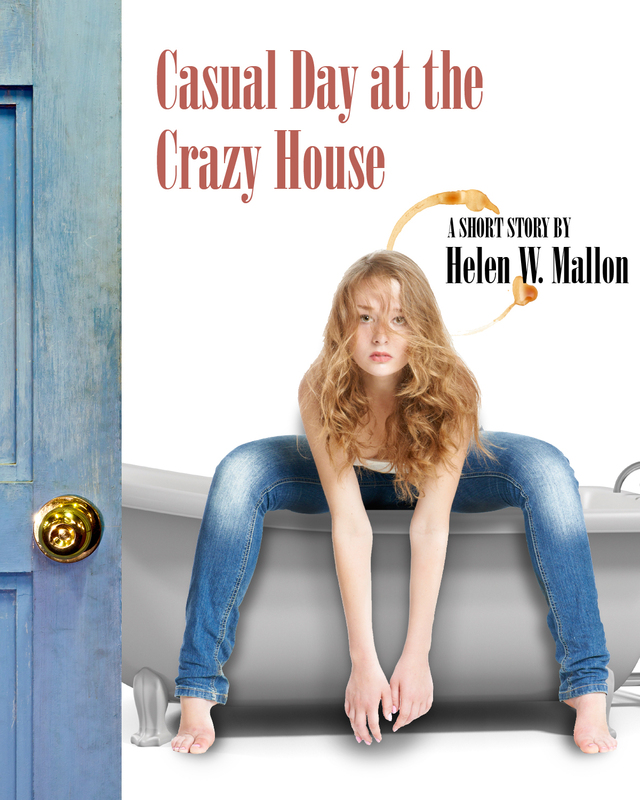 In her latest stand-alone short story, Casual Day at the Crazy House, Helen Mallon deftly explores issues of family, race, madness, and acceptance all in the space of a few thousand words. 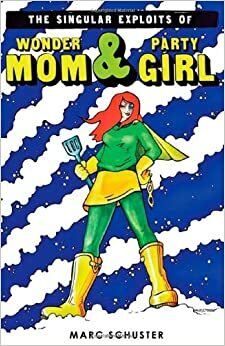 The story follows a teenager named Olivia as she struggles with the knowledge that her father isn’t quite right. In fact, he’s so not-quite-right that he lives in the family’s bathroom and refuses to leave for fear that he might die. Adding to Olivia’s stress is her mother’s apparent nonchalance at the situation — she thinks it’s just a matter of bad feng shui — and a racist grandmother who speaks in ironically affected Quaker “plain” speech that laces her language with “thees” and “thys.” Meanwhile, graduation is looming, and Olivia is fascinated with a girl named Katy. To say her life is complicated is an understatement, but what teen’s life is ever simple? Indeed, the complications in this particular teen’s life will ring true to many young readers, while Mallon’s sensitive treatment of her characters and their issues lends emotional depth to the proceedings. We all want to be accepted, Mallon’s story stresses, and we all want to be normal — but sometimes the only way to achieve both of those goals is to recognize that we’re all abnormal outsiders in one way or another. To put it another way, what we have in common is that we’re all different. In an essay titled “Nature,” Ralph Waldo Emerson wrote that in nature, “We return to reason and faith. There I feel that nothing can befall me in life, — no disgrace, no calamity, (leaving me my eyes,) which nature cannot repair. Standing on the bare ground, — my head bathed by the blithe air, and uplifted into infinite spaces, — all mean egotism vanishes. I become a transparent eye-ball; I am nothing; I see all; the currents of the Universal Being circulate through me; I am part or particle of God.” Throughout his latest collection of poetry, titled What I Saw, Jack McCarthy partakes in the same miracle of transubstantiation, becoming a transparent eyeball himself as he floats through the material world and records his observations with precision and clarity. 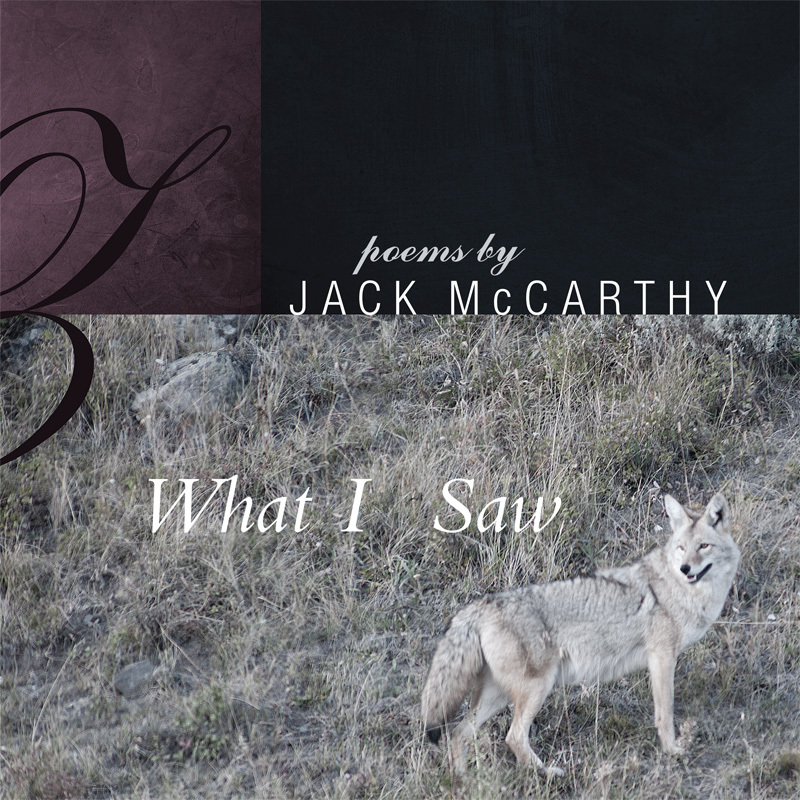 From this perspective, McCarthy bears witness to a myriad of events: Adam and Eve inventing the concept of love, chipmunks making booty calls, elephants gone mad, a child drifting away on a leaky boat, a red sweatshirt gone missing, Hannibal Lecter singing the praises of fava beans and chianti. His poetry evokes our humanity and frequently draws attention to the mortality that we all share. He writes of animals and literary figures, poetry and wandering. He’s profound without being pretentious, a plain-spoken observer of the human animal. From McCarthy’s perspective, we’re all traveling somewhere, even when we appear to be stalled or meandering. 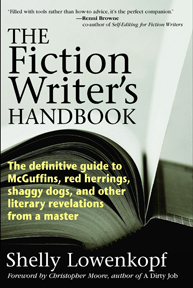 Rather than espousing theories on writing or prescribing dicta regarding the craft, The Fiction Writer’s Handbook by Shelly Lowenkopf offers aspiring and established writers a comprehensive glossary of terms on the subject. A longtime writing instructor whose former students include Christopher Moore, who provides a foreword for this handy volume, Lowenkopf advises readers to choose one of the terms of art included in the book’s list of entries — “Mickey Mouse Ending,” for example — then to dive in head-first and see where the entries take you. A quick glance at the entry for “Mickey Mouse Ending” reveals that the term refers to “The ending to a SHORT STORY or NOVEL in which justice triumphs with the loud tap of the gavel.” The entry goes on to further explicate the term in useful detail, but the real value of the definition that Lowenkopf offers is that all of the related terms are highlighted — SHORT STORY and NOVEL, for instance. As a result, the reader can go on to further investigate the highlighted terms and begin to form a fairly comprehensive understanding of the vocabulary associated with writing. In many ways, then, The Fiction Writer’s Handbook has the feel of a Choose-Your-Own-Adventure book, as each entry offers a plethora of potential terms to investigate. The effect is also similar to falling down a rabbit hole, like clicking through a long series of Wikipedia hyperlinks and then looking up to find that three hours have passed. To put it plainly, it’s a tool that anyone who loves to learn more about the craft of writing won’t be able to put down, an indispensable addition to any writer’s library. 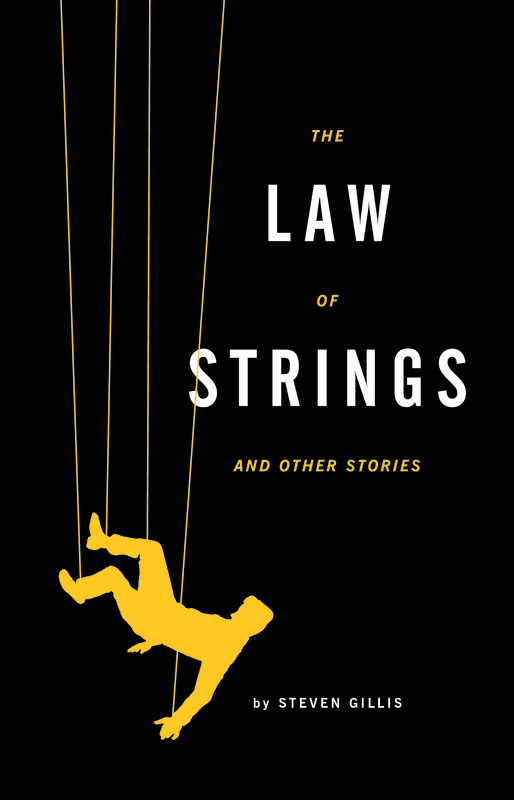 Physics, gravity, string theory, attraction, and repulsion are all at play throughout The Law of Strings, a collection of short stories by Steven Gillis. The book’s theme and tone are reminiscent of early Thomas Pynchon — bizarrely clever tales that are as much about human relationships as they are about the frontiers of speculative science. 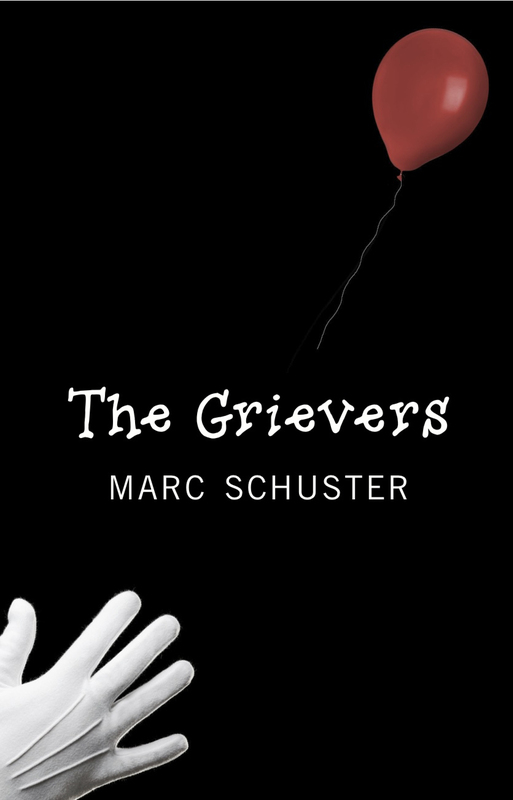 Hints of Samuel Becket and contemporary author Max Barry are also present, as in a short story titled “What We Wonder When Not Sure,” which finds a pair of businessmen working for a company whose purpose is largely unknown to all it employs, but which promises to reveal itself eventually. Other stories find characters struggling to make the best of situations that range from the improbable to the impossible, usually with comic effect, and never with ease: A couple frees the denizens of an overcrowded dog shelter only to realize that they haven’t thought the situation through as thoroughly as they might have. A man with the power to levitate meets a woman whose density renders her immobile. A bookstore owner discovers a mysterious door at the top of a flight of stairs while trying in vain to convince his girlfriend that they should take their relationship to the next level. What emerges as the stories pile one upon the next is the intimation that life can be flawed, maddening, and nearly inexplicable but ultimately and unquestionably worth living.